I have had so many questions about these two companies! For those of you who don't know Ipsy and Birchbox are both companies that send you beauty products and samples every month for $10. Usually you get 4-5 items each month. I have had a lot of people ask me which one is better so I decided to subscribe to both for 3 months and see who's really is "better". sends you 4-5 items total, 1 or 2 (sometimes even 3) of which are full sized, while the rest are sample sizes. 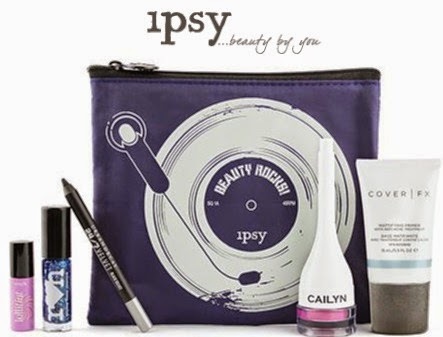 You can collect Ipsy Points by joining Ipsy, sharing your glam bag on Facebook or Twitter, singing your friends up under you, and a few for reviewing each item that come sin your glam bag. The Ipsy points are redeemable on 3 selected items that change every month. The Ipsy website will direct you to other online shopping pages to purchase any products found in your (or others) glam bags. Sends you 4-6 items total, which occasionally includes one full sized item. You get a lot of skin and hair products with a few makeup products, and the occasional snack! You can collect Birch Box points by joining, signing up friends, reviewing products that have come in your box, subscribing each month, as well as buying products directly from birch box. Those points are redeemable on any and all products in the birch box store. You can buy all products found in your (and others) birch boxes directly form birch box on their website. Overall I prefer getting Ipsy, because I prefer makeup to skin and hair products. I also think that most of the Ipsy products I get are high quality. I have gotten several drugstore items from Birch Box and once I even got a crappy hotel shampoo and conditioner! But with that being said I prefer the points system with Birch Box. I love that you get points every month just for being a member! I also love that you can get points for shopping with them. I have gotten a couple amazing full sized products off Birch Box for either very little or free! I love it!